UNIVERSAL CITY, Calif. – Jan. 10, 2014 – “Days Of Our Lives” has delivered its biggest weeklong women 18-49 audience in more than two years and its biggest overall audience in nearly three years, reaching those peaks during the holiday week of Dec. 30-Jan. 3, according to “live plus same day” viewing figures for the week of Dec. 30-Jan. 3 from Nielsen Media Research. For the week, "Days Of Our Lives" (1.0 rating, 6 share among women 18-49, 0.6 rating among women 18-34) tied for #6 among network daytime series in the women 18-49 demographic and tied for #5 in the women 18-34 race. For the week versus the same week last year, "Days of our Lives" was up 42% in the women 18-34 category (212,000 vs. 149,000), up 28% in the women 18-49 demographic (669,000 vs. 522,000), up 21% in the women 25-54 race (786,000 vs. 652,000) and up 23% in total viewers (3.0 million vs. 2.5 million). Season to date, "Days of our Lives" is tied for #6 in the women 18-49 category and tied for #5 in the women 18-34 demo. 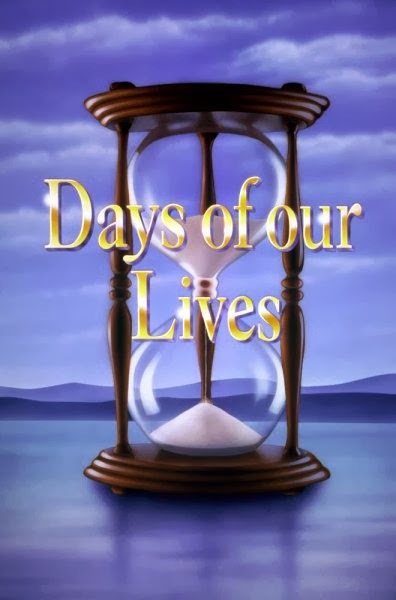 Season to date, "Days of our Lives" is up 8% in the women 18-34 category (217,000 vs. 201,000), up 13% in the women 18-49 race (700,000 vs. 617,000), up 13% in the women 25-54 demo (854,000 vs. 758,000) and up 10% in total viewers (2.9 million vs. 2.6 million).